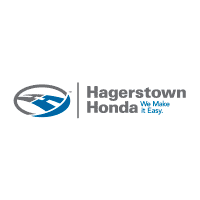 I came to Hagerstown Honda one year ago and was treated with such respect and friendliness. I met Scott Wright and he was awesome. He was very personable and made my experience delightful. I love my CRV and it has been a great vehicle. I contacted Scott the other day and he again treated me as he has known me a long time even though I haven’t been in touch for a year. He was very helpful and assisted me with my question. Again, a very satisfied experience. I have referred him and will continue to refer him and Hagerstown Honda to others. Thank you Scott, you are the best. Love every feature of my new CR V, and want to offer a special thanks to Kyle & Darin for “making it easy” for us at Hagerstown Honda. This was the most relaxed, painless car buying experience I’ve ever had. Highly recommend purchasing your next vehicle here! Great deal. Love the updates and improvements to the ' 19 CRV. Salesman Eric Villaman rocks!